Karate enables you to script a sequence of calls to any kind of web-service and assert that the responses are as expected. It makes it really easy to build complex request payloads, traverse data within the responses, and chain data from responses into the next request. Karate's payload validation engine can perform a 'smart compare' of two JSON or XML documents without being affected by white-space or the order in which data-elements actually appear, and you can opt to ignore fields that you choose. focusing on the documentation and design aspects of TDD. RSpec is composed of multiple libraries, which are designed to work together, or can be used independently with other testing tools like Cucumber or Minitest. 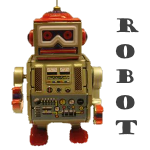 Behavior Driven Development (BDD) framework for PHP inspired by the Ruby Cucumber BDD framework. Behat is an open source Behavior Driven Development framework for PHP 5.3+. What’s behavior driven development, you ask? It’s a way to develop software through a constant communication with stakeholders in form of examples; examples of how this software should help them, and you, to achieve your goals. Behat is considered an official Cucumber implementation in PHP and is part of one big family of BDD tools. 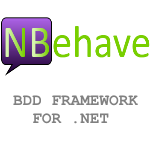 NBehave framework is based on the behavioral domain specific language (DSL) of Behavior Driven Design (BDD). The primary goal of NBehave is a framework for defining and executing application requirement goals. These characterizations are modeled after the Behavioral Driven Design (BDD) terms Story, Scenario, Given, When, Then. Relying on a syntax that is lightweight and targeted at product owners (a few "quotes" mostly), the code becomes an executable and self-describing requirements document. The definitions within the actual unit test of the application along with the nature of the architecture and the domain model makes these concepts a sound framework. Modern PHP testing for everyone. The fully integrated standalone wiki and acceptance testing framework. FitNesse is a lightweight, open-source framework that makes it easy for software teams to: Collaboratively define Acceptance Tests -- web pages containing simple tables of inputs and expected outputs, Run those tests and see the results. FitNesse is a tool for enhancing collaboration in software development. FitNesse enables customers, testers, and programmers to learn what their software should do , and to automatically compare that to what it actually does do . Frank allows you to write structured text test/acceptance tests/requirements (using Cucumber) and have them execute against your iOS application. Frank also includes a powerful “app inspector” (called Symbiote) that you can use to get detailed information on your running app. Frank can be used to write tests for Mac apps as well as iOS apps. Writing tests for Mac apps is similar to writing tests for iOS apps, but there are important differences.